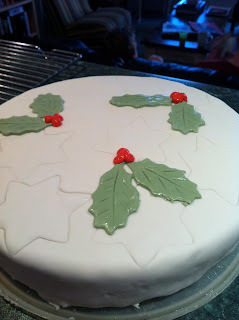 I think it is a first for me to have the Christmas cake baked and decorated before December. Last year I managed to make it and decorate it about a week before Christmas. The brandied soaked fruit didn't really have enough time to soak but that didn't stop us from enjoying this very moist and delicious cake while sipping cups of tea. Christmas cake is something that you either love or hate. I must confess I was never really much of a fan, however, I married a man that gets excited in October just thinking about the slices of cake he'll be eating in the coming months. Nic LOVES fruit cake! My mum used to send us a fruit pudding every year no matter where we lived in the world (actually she still does), something my family always looks forward to every December. For me it helped that we were living on the other side of the world and eating Christmas pudding when it was cold outside, it seemed much more appropriate to eat a warm pudding in the winter months. 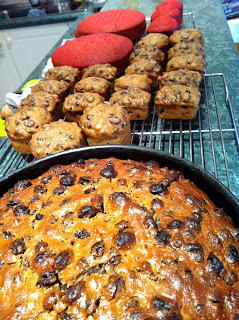 For these warmer Australian Christmases I think I would rather have something a little lighter, fresher and maybe even a little lemony, however, I know that wouldn't sit right with the boys so just like last year I have made a fruit cake, mum's bringing the pudding (right mum?) and we'll be eating pudding and cake with the best of them. Another reason I want to make our Christmas cake this year is to do so out of respect for the lady who gave me her recipe. Wendy, my dear neighbour in Virginia promised me it was a winning fruit cake and one she has made for years (I wasn't about to argue with an English woman over a good fruit cake!). Sadly Wendy lost her battle with cancer earlier in the year and passed away. So Wendy, I know your family will be missing you more than ever this December and missing your wonderful laugh and smile, not to mention your wonderful baking. The only way I know how to honour you is by recreating the recipes you passed on to me. We couldn't live without your bread and now that Christmas is upon us, I really don't think it would feel the same if I didn't make "the Wendy bird's" Christmas cake...I just wish it was that simple for the rest of your family x.
Soak fruit in brandy for 24 hours. Preheat oven to 190 degree (350). Grease and line one loaf tin and one cake tin then place to the side. Combine all dry ingredients except wheat germ. Combine egg, whites, sugar, oil, honey, juice and apple sauce. Set a sifter over a large bowl and add dry ingredients to wet, then add the wheat germ and mix until blended. Add the fruit and mix until well combined. Divide batter among pans up to 3/4 full. Small tins will take 50-60 minutes while large cake tins 1-1.5hours. 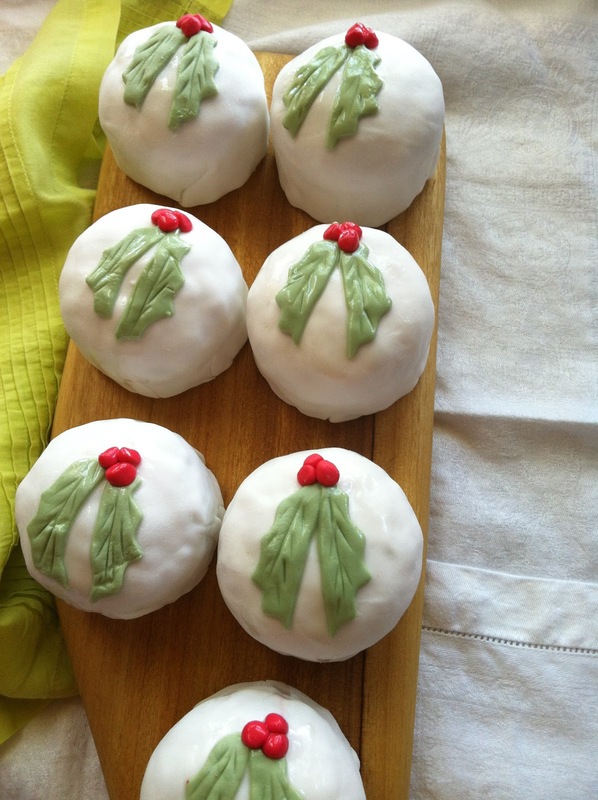 When cooled, wrap in brandy soaked cloths and foil until ready to decorate with royal icing. I have always been fascinated by fruitcake, it is one of those things that I like in small amounts. Yours looks great! Yummmmmm! This looks delicious, I am making the cookie version (big surprise there!) Now I am ready for Christmas music!